Samsung launched latest mobiles in Omnia series, Omnia i8910 HD and Omnia Pro B7320 in India .Samsung Omnia HD is Symbian S60V5 device like Nokia N97 ,5800 Xpress music ,5530 Xpress music and Sony Ericsson Satio .Omnia Pro uses Windows mobile professional 6.1 .Flagship product Omnia HD is a multimedia device with 3.7 inch screen touch interface and 8 mega pixel auto focus camera capable of recording high definition videos. Whereas Omnia pro is medium segment business device like recently launched Blackberry 8520 and upcoming E55 . The specifications and price of Omnia HD and Omnia Pro are well enough to keep competitors aside .33K priced Nokia N97 and recently launched Blackberry 8520 would be affected more . Samsung Omnia HD uses Symbain S60 V5 touch UI along with Samsung’s own Touchwiz interface technology .Massive 3.7 inch AMOLED screen provides 360 x 640 pixel resolution and has accelerometer sensor ,screen keypad and widget support.The greatest feature Samsung Omnia i8910 HD is the 8 mega pixel autofocus camera(HD 720p at 24fps, 720×488 at 30fps ) , that thoroughly beats beats Nokia N97 in video recording and photo shoots .Omnia HD is internally powered by an ARM Cortex-A8 600 MHz processor with dedicated graphics processor and 256 MB of RAM . It includes 8/16GB memory card ,expandable upto 32GB . Other Omnia HD i8910 specifications includes DivX playback with subtitles ,3G ,WiFi ,TV out ,GPS ,GPRS ,Full web browser with support for Flash ,DNSe audio technology ,Dolby 5.1 audio in ear phones ,Bluetooth ,digital compass,MS Office and PDF reader and FM radio . .So if your planning to buy Nokia N97 , give Omnia i8910 HD a try. 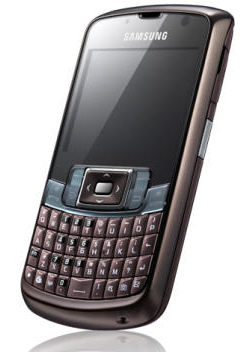 The only difference we found in Nokia N97 is the kickstand and qwerty slid-out key pad . 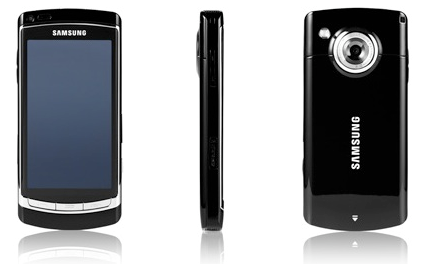 Samsung Omnia Pro B7320 uses Windows mobile OS 6.1 upgradable to upcoming Windows mobile 6.5 . Its basically a business oriented device as you can see from images . The 3.15 MP camera autofocus camera is capable of taking images upto 2048×1536 pixels and videos upto 30fps .There is a secondary camera for video calling .This phone offers a TFT, 65K color screen with full QWERTY keyboard .Qualcomm 7201A processor with about 530MHZ and internal memory of 70MB provides one of the best processing power in this class . Office productivity applications ,email ,WiFi ,EDGE ,Bluetooth, neat 7 hour talk time and 288 hr standby time provided by Li-Ion 1480 mAh are other notable specifications of Samsung Omnia Pro B7320 .With this features its definitely great buy if you are looking for business phone near 15 K INR . Updated: Samsung Omnia 7 announced. 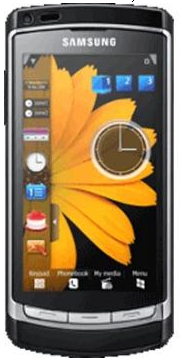 from mobile store it comes at Rs.11499 only. WHY U R SHOWING 16500/-……………..? if we want featuire dan we have to pay buddy……..
i hv this fone …….aaaaaaaaaah ..this is awesome ..all u need .i hv in this fone …..
Samsung India is an established name in the field of electronic goods which is better known for its good quality products.